ASIC is Australia’s corporate, markets and financial services regulator. ASIC enforces company and financial services laws and informs the public about Australian companies to protect consumers, investors and creditors. As an approved ASIC information broker, InfoTrack provides a complete range of ASIC company searches and ASIC business name searches from the ASIC Register. Conducting an ASIC search will instantly return detailed real-time information relating to a person or company, including status, directors, shareholders, addresses, and history. With InfoTrack you are also able to look up the ACN number and/or ABN number and verify the search for free. Does your asic extract look like this? InfoTrack's ASIC extract starts with a summary page, instantly showing you a snapshot of the extract, credit information and a visualisation of the company data. Each ASIC extract you order from InfoTrack returns a single PDF including the below information. These additional complimentary features provide you with a more detailed picture of the company you're searching, allowing for deeper levels of due diligence in a fraction of the time. 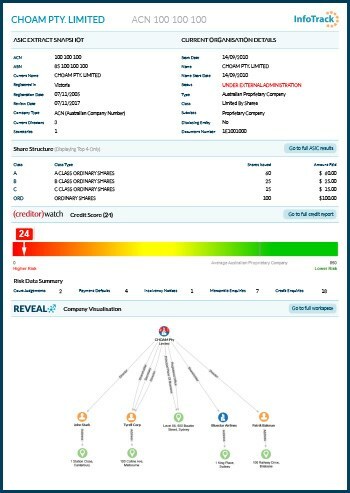 View a one-page summary of key company information including ASIC data, credit score and a visual diagram of the structure. Verify the legitimacy of an entity by viewing details including company directors, secretaries, shareholders, registered office addresses, appointments of external auditors, liquidators and administrators, document details and ACN/ABN lookup. Assess the credit worthiness of the company you're searching through a snapshot of its credit history. 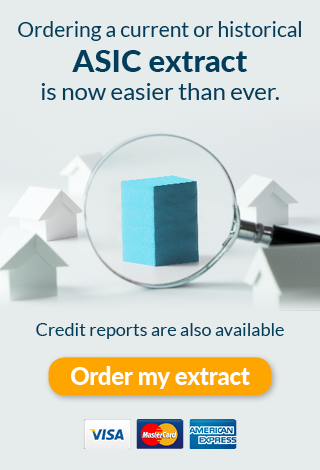 The credit report details risk data associated with the company including court judgments, payment defaults, insolvency notices, mercantile enquiries, credit enquiries and credit score. View a simple visual diagram that maps out relationships between people, companies and assets. Easily see shareholder percentages, track changes to corporate structure, filter your results and export data in various formats. Through our automated reorder detection process, we are able to establish that we hold the ASIC extract that you have searched and can provide it to you at a reduced cost, as it has been ordered through the InfoTrack platform. The ASIC alerts feature is free and enables basic alerts for your company for the next 12 months. You will be notified by e-mail if there is an ASIC form lodged against the company. 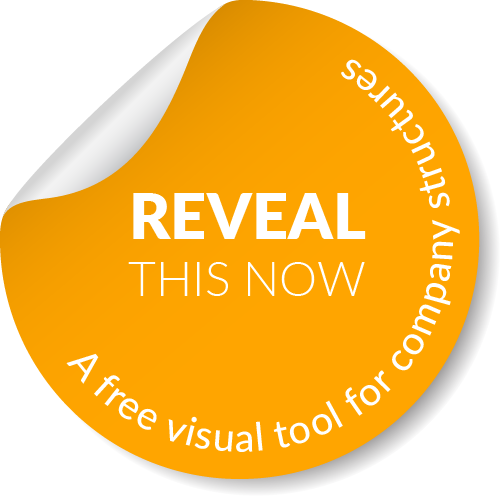 Receive a complimentary REVEAL workspace and Credit Report with each ASIC extract. Order ASIC & PPSR Searches simultaneously. Conduct bulk ASIC Searches and copy & paste up to 50 companies at a time. Auto email bulk ASIC Search results in a single email. Export ASIC Search results to an Excel spreadsheet. Free ASIC ACN & ABN Search/lookup and verification. Free document list lookup and order without company extract. When ordering an ASIC search from InfoTrack, you have the option of including a PPSR search which will return a combined report along with your ASIC and PPSR results in one PDF. The combined report uses smart technology to collate data from your ASIC and PPSR search results and highlight areas of potential risk.